NEWPORT NEWS, Va., July 13, 2009 -- Northrop Grumman Corporation (NYSE:NOC) redelivered the nuclear-powered aircraft carrier, USS Carl Vinson (CVN 70), to the U.S. Navy July 11. The redelivery follows the completion of a successful three-and-a-half-year evolution known as a refueling and complex overhaul. The project was performed by the company's Shipbuilding sector in Newport News, Va. and was completed within budget. Redelivery also follows successful sea trials. Sea trials are conducted to test systems, components and demonstrate operations at sea. The trials also include high-speed runs and a demonstration of the carrier's other capabilities. "The redelivery of the Carl Vinson is testimony to the tremendous teamwork between our crew, the Northrop Grumman workers, and the Supervisor of Shipbuilding," said Rear Adm. (select) Ted Carter, who was the Commanding Officer of USS Carl Vinson during the last two and a half years of the RCOH project. "Without that triad of effort, I would not be able to tell you of all the great work accomplished during the overhaul period, which resulted in our ship returning to sea as one of the most advanced ships in the world." 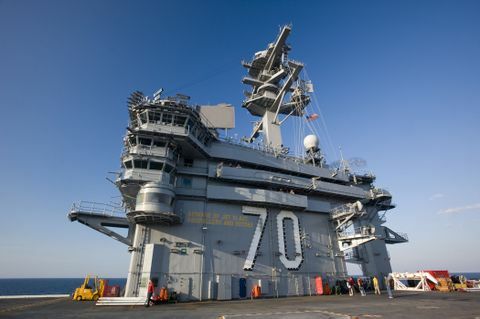 The refueling and complex overhaul is performed only once in a carrier's 50-year life and includes extensive modernization work to more than 2,300 compartments, hundreds of system upgrades, and over 20 million man-hours of work, to include defueling and refueling the nuclear reactors. "The success of this project reflects the approach and relationship that this team has had for the past three and a half years -- One Team, One Goal, One Mission. 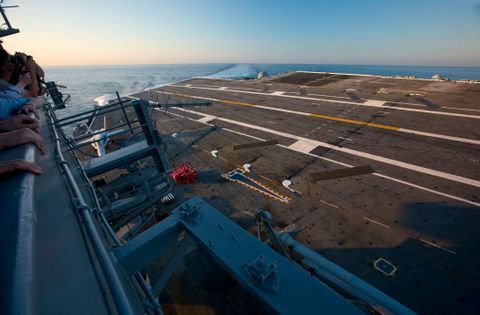 We collectively could not have been successful without the talent, dedication and teamwork of our shipbuilders, CVN 70 crew members, Supship and Navsea personnel and our suppliers," said Jim Hughes, Northrop Grumman Shipbuilding's vice president of aircraft carrier overhauls. "We've come together to bring CVN 70 back to life for another 25 years of service, and we did it within budget despite many challenges encountered along the way. This great achievement demonstrates our commitment to work with the Navy to deliver the best products back to the fleet while making sure we meet our cost requirements and improved financial predictability." USS Carl Vinson is the third ship of the Nimitz class to undergo this major life-cycle milestone. The carrier arrived in Newport News on Nov. 11, 2005, and more than 3,500 Northrop Grumman employees worked on the project during peak periods. Named for former U.S. Rep. Carl Vinson, the USS Carl Vinson (CVN 70) was built in Newport News, Va. by Northrop Grumman Shipbuilding and was christened in 1980. The congressman attended the christening ceremony at age 96 and became the first living American to have a Navy ship named in his honor. The ship was commissioned by the Navy in 1982.